with a careful screening, from July 2014 to February 2015. 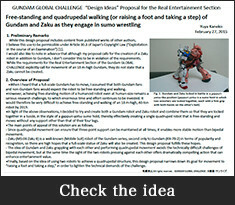 Those who won the prize should attend the project as GUNDAM GLOBAL CHALLENGE Members. Born in Shizuoka prefecture, I am a graduate of the National Institute of Technology, Numazu College’s Department of Electronic Control System Engineering. Presently in 2015 I am enrolled on the secondary doctorate program at the Nara Institute of Science and Technology, pursuing research in the field of radio communications, such as radio over fiber technology and meteor-burst communications. When I heard that a full-scale Gundam has to move, I assumed that both Gundam fans and non-Gundam fans would expect the robot to be free-standing and walking. However, achieving free-standing motion of a humanoid robot even at human-size remains a serious research challenge. I thought of Gundam and Zaku in a gappuri-yotsu sumo grappling pose thereby effectively creating a single quadruped robot that is free-standing and moves without any support other than that of their four legs. Since quadrupedal movement can ensure that three-point support can be maintained at all times, it enables more stable motion than bipedal movement. Many fans have high-hopes for the creation of a full-scale Zaku, like the Gundam, and I think seeing Gundam and Zaku grappling with each other will be very impressive and I expect it will make for a dramatically compelling piece of entertainment. Ming-Hsun Chiang is an assistant professor, personal trainer, and maker. 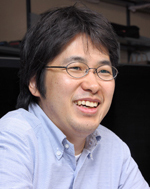 He has received his doctoral degree in Electronic Engineering from National Taiwan University. During his doctoral program, Ming-Hsun Chiang spent many years in study of Human Anatomy, Sports Medicine, Biomechanics, etc., and put his insights into the field of Robotics. Then, He proposed a new type mechanism of humanoid robot and relevant process flow of gait that make the robot much easier to achieve human-like walking. This means less energy consumption during walking, and less swing motion to maintain balance. 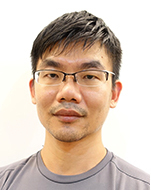 Due to the demand for research, Ming-Hsun Chiang has also set up a workshop for machining during the doctoral program. He also uses this workshop to assist other organizations, like Industrial Technology Research Institute (ITRI), colleges, etc., to design and build a robot. The gravity torque due to the super-size body can easily exceed the physical limits of the actuators. Since the traditional bipedal walking (knee bent walking) is 16 times less efficient than humans, it is very difficult to utilize the traditional way to drive such a large system. 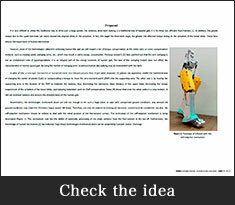 A new type mechanism of humanoid robot and relevant process flow of gait were proposed. Any unexpected ground conditions may make the 18 meters height system fall down. Not only the mature technology of electronic control must be considered, but also the self-adaptive mechanism should be utilized to deal with the initial position of the foot-ground contact. The self-adaptive mechanism is now being developed. Graduated from Department of industrial mechanical engineering School of engineering Tokai University. Make use of the experiences of designer in automobile company, running a design, production and selling of robots and machine equipment company at Fukuoka prefecture in Japan. Equipping a drive mechanism, control unit, power, and power source etc., to the 18m tall real-scale Gundam is incredibly difficult because of the weight problem. The key to realizing a walking full-scale GUNDAM hangs on making it as light as possible. 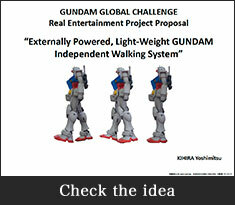 With that in mind, I am proposing an “Externally Powered, Light-Weight GUNDAM Independent Walking System” using light-weight armor, in which as many mechanisms and drive units as possible are placed outside of the GUNDAM. 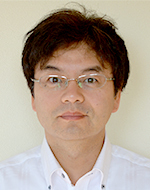 Associate Professor at the University of Tokyo, Graduate School of Information Science and Technology. 1997 Graduated from Kyoto University’s Faculty of Engineering, Undergraduate School of Informatics and Mathematical Science. 2002 Completed doctoral course in Information Science at the University of Tokyo’s Graduate School of Information Science and Technology. Doctor (Engineering). 2002 Science and Technology Promotion specially appointed teaching staff at the University of Tokyo’s Graduate School of Information Science and Technology. 2006 ibid Specially Appointed Lecturer. 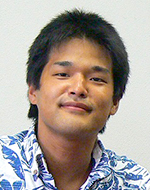 2009 Presently an assistant professor of Intelligent Machine Information Science at the University of Tokyo’s Graduate School of Information Science and Technology. Engaged in research in processing 3-dimensional sight, recognition behavior, humanoids, mobile manipulation, and open robot software. 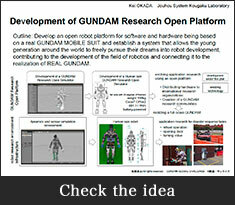 The point of this project is to offer the excitement of moving “that GUNDAM” with software you wrote yourself.